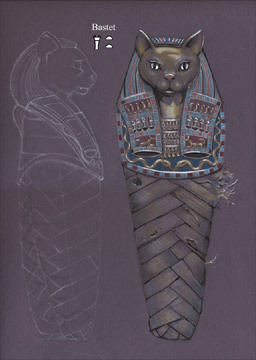 “What is Bastet – other than what I call Todd on a bad day,” asks Gad. “Why would you pile up a litter of dead cats. And why mummify them?” Hal asked. “The messengers. These are the messengers that carry the true word to the world here after.